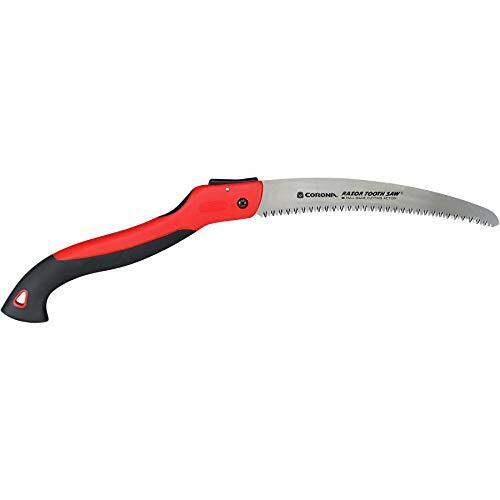 A pruning saw is a mighty cutting tool for branches or stems that are more than 4 inches thick. It is a great company not only for house garden but in your cropping fields as well. You might have asked yourself “Why do I need a special pruner when I still have this saw I use for carpentry?” I know how you feel. I even know that you might be thinking that this is not impractical at all, right? Wrong. Pruning Saws are special. Compared to the one you already have, Carpenter saws are used for cutting dry woods. Plants, on the other hand, are basically moist. Aside from that, pruners are out of the ordinary because of the method you should employ when you cut your branches. Not like the saw of carpenters, you do not push to cut. Instead, you pull the gadget while it is in contact with your wound to initiate the incision. You might want to notice the curvature of its blade. If it is not really bent, the angle between the holder and the blade is remarkably decreased. The aim is to enhance the pull-back cutting action of your saw. But aside from that, I also check if it is designed to make my hands comfortable while I am using it. I can work for hours but this time span will either increase or decrease depending on the tool. The first thing that you have to do is to identify the branch you need to prune. 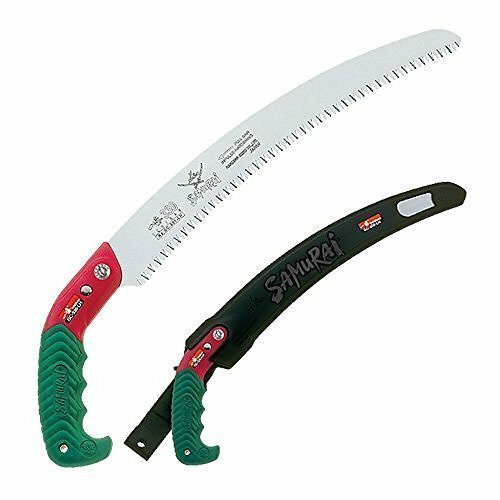 Choosing the adequate pruning saw (taking into consideration the size and style of teeth) is needed so that you would not have unnecessary wastage of time, money and effort. Safety should always be a priority like I would always say in all my other articles. Therefore, you should choose a comfortable position that will allow you to cut effectively. Create a groove that will serve as a guide especially if you are cutting vertical branches. Place the blades on the top part of the branch you would like to slice. This is the safest since the blade is away from your face. This position is also the and most sensible since the force of gravity would be helping you work faster. Start cutting just as how you use your carpenter saw but this time exerting more pressure on the pulling motion. It is foldable! That is the very first thing that attracted me to this product. The container is also no-nonsense as it can open without difficulty and close firmly guaranteeing the user’s safety. It could be difficult to use at first, but as they say, practice makes perfect. I do not, however, agree that it can actually cut in both directions as what is stated in the product description. It is made of kyoku blade. It stays sharp way longer than the others and when it does dull, it remains sharper than the others. There are just so many functions of this tool that is why you have to spend some time looking for the best pruning saw. Buy your own pruning saw and you will never regret it. It is not only convenient for gardening because you can also bring it for camping. With all of the features discussed above, I would highly recommend Corona RS 7265D Razor Tooth Folding Pruning Saw, 10-Inch Curved Blade. For its versatility primarily as you can easily slip it in your bags and bring it with you anywhere anytime you want. Thank you for spending time reading this article. I hope you enjoyed. Please feel free to comment and share!